Well Since KregRep posted a comment on this project at LumberJocks I figured I would post it here as well. 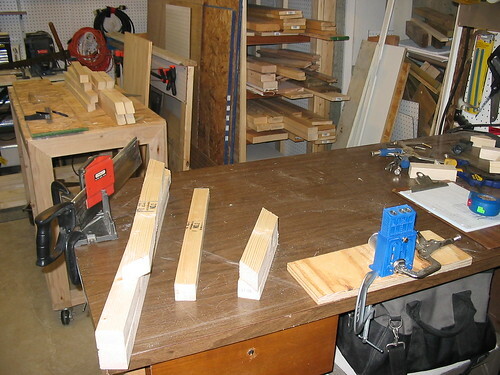 I am currently working on building an office suite out of dimensioned pine. 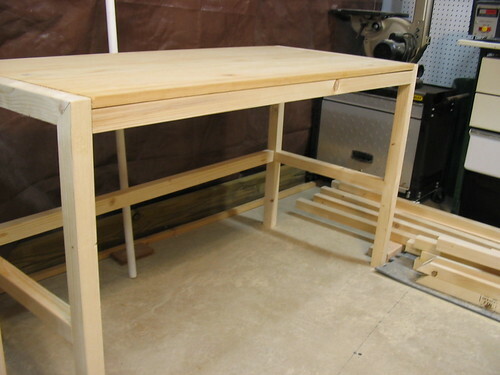 The Kreg Jig is my main joinery technique. 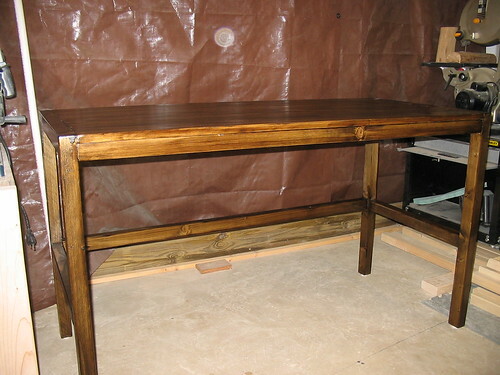 I built the desk first and used a hand saw with miter box and Kreg Jig in order to do my miter joints. Top added.. 4 pocket holes screws to hold it in place in the corners to allow for expansion..
and finally two coats of stain and two coats of poly complete the look I was going for.. Thanks for looking. 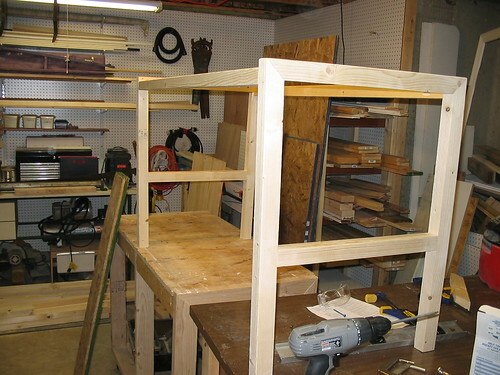 Hutch and bookcases are in the making. Thanks, The hutch is still being put together. 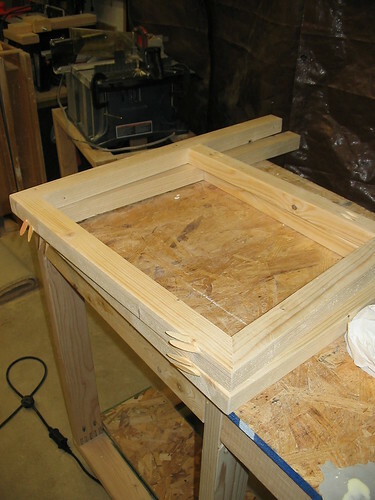 Once all the wood was cut and set up took me about 4 hours or so to get it assembled I am sure the jig saved me numerous more hours as I would have worked on learning a new joinery skill. Which I still plan to do in the future, just like to get my furniture done so I can put it to use. Thanks for posting, Chris. A very intriguing desk. Simple design. How many hours would you say you had in it... and how would that number have changed without the Kreg Jig?